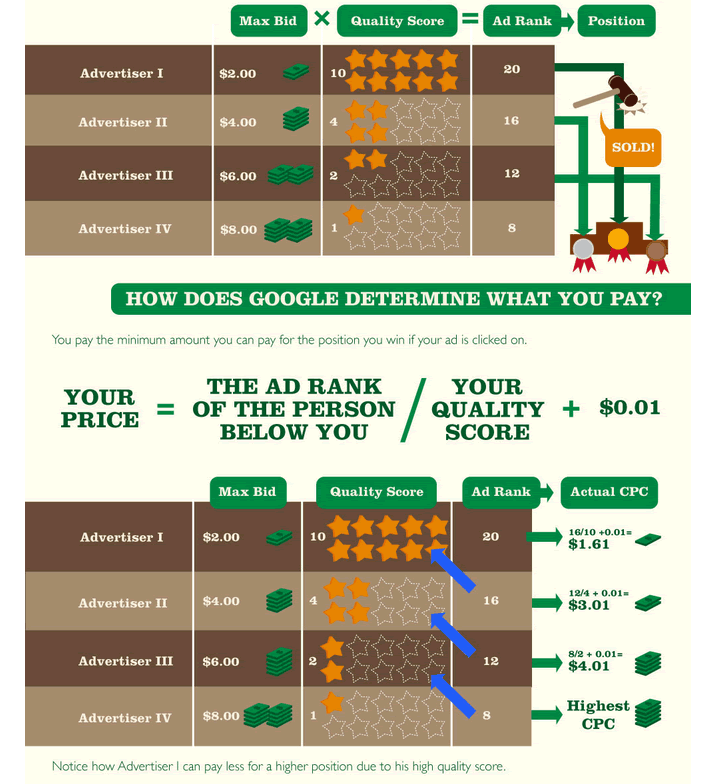 Google AdWords Quality Score vs. Bid Price Formula. More targeted ads, offers & landing pages result in better placement at a lower bid. Quality Score is Google’s rating of the quality and relevance of both your keywords and PPC ads. It is used to determine your cost per click (CPC) and multiplied by your maximum bid to determine your ad rank in the ad auction process.